Updated Friday October 13, 2017 by Robert Dungan. 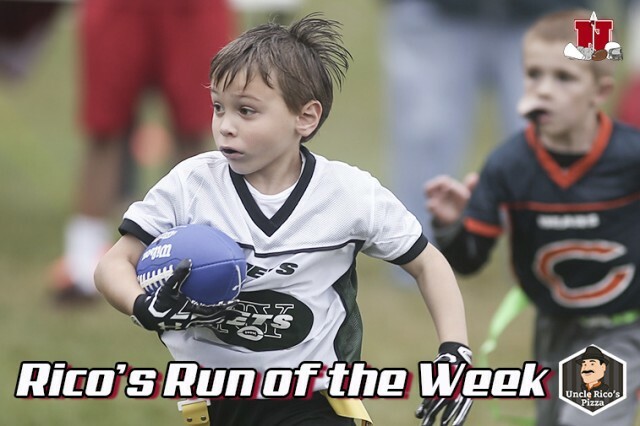 The week five Niskayuna Youth Football and Cheerleading "Uncle Rico's Run of the Week" belongs to Rex “The Rocket” Farnan of the NY JETS. Thanks to Uncle Rico's Pizza for supporting Niskayuna Youth Football! Place your order today at (518) 280-9544 or www.unclericospizza.com for Niskayuna Youth Football's favorite pizza and pasta delivery.